or just keep reading…past the retreat details. Rasa Bhāva, the art of rejuvenating the emotional body, is an ongoing practice. Like developing an unused muscle, it takes time, persistence and consistency. This retreat is to both take it deeper, and to add dimensions to it that cannot be added in a workshop. Plus…the flavor of India, its very rasa, adds a delicious secret spice to the recipe! We begin in Kerala. At a beautiful Ayurvedic Retreat Center. Here we spend 5 full days immersed in the study of the Rasa Bhāva experience. To understand and manage our emotional body. Physically, mentally, psychically and spiritually, we will learn to occupy our own persona and move beyond our life long trainings in fear, anger and grief, and to occupy and remember our own original creativity, innocence and joy. As you will see below, this can be a pretty joyous experience. And then we will take it out on the road! To see if we can be fully present, alive and positive to our surroundings, the beauty of ancient India: its palaces, forts, temples, colors, sights, sounds, aromas and tastes. 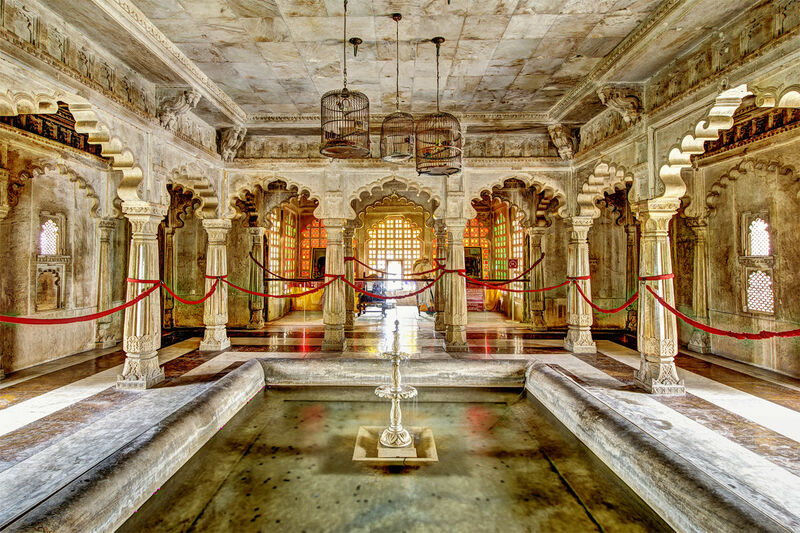 We will of course visit the Taj Mahal, but also a magnificent Jain Temple. We will take a camel ride, stay in luxury tents, visit old royal villas, wander through ancient forts and living palaces. Having first nurtured with specific yogic and āyurvedic practices, we should now be ready to have a grand experience indeed! The retreat is limited in space. 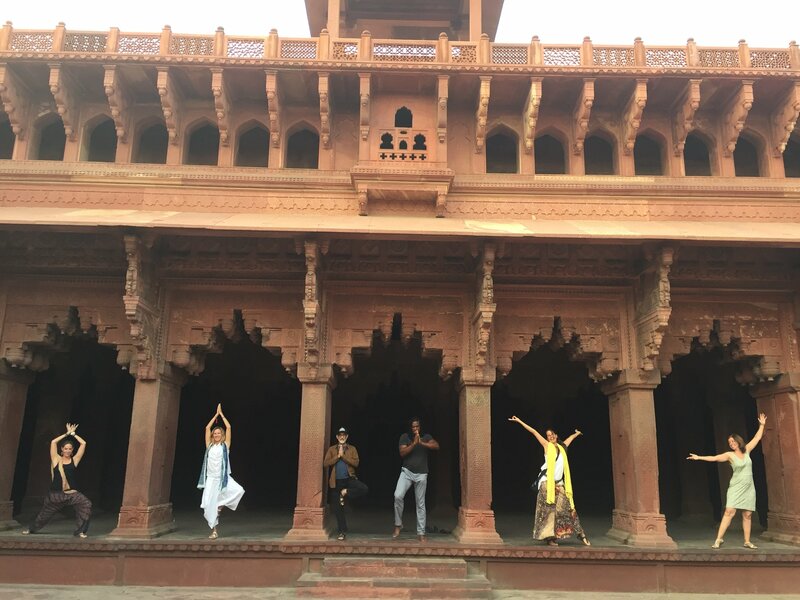 Rasa Bhāva & Royal Tour India Retreat 2018! Sept 26: Arrive early morning. Settle in and after lunch, orientation and puja, followed by a gentle afternoon practice ending with yoga nidra. Early evening luxuriate in full Āyurvedic treatments and let go of it all! Sept 27/28/29/30: Early mornings 3-hr Rasa Bhāva practices. Afternoons: Rasa Bhāva lectures. Evenings: Rasa Bhāva Āyurvedic treatments including abhyanga and shirodhara. 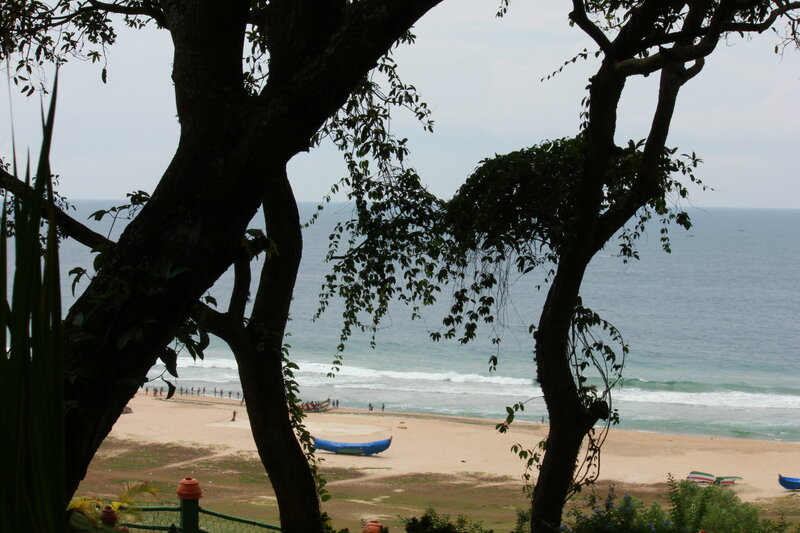 The Somatheeram resort is spread lushly over 15 acres of greenery on a hilltop overlooking Chowara Beach, south of Kovalam and a short drive away from Trivandrum. 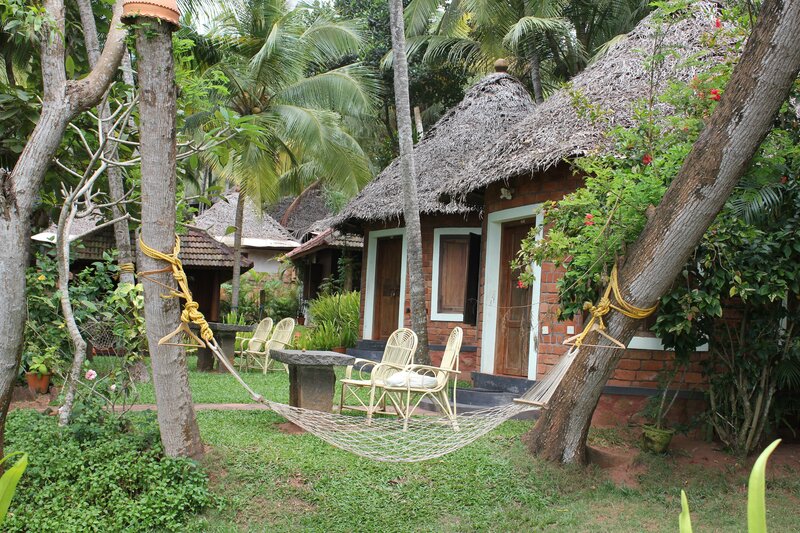 The gently sloping grounds are sprinkled with traditional thatched cottages and Kerala style wooden bungalows, nestled among native medicinal plants and coconut groves. We will stay in the Garden Cottages; independent thatched huts rooming two people. 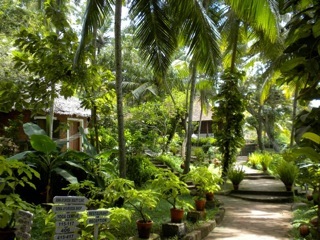 Climbing up the hill you arrive at the Rejuvenation Center with a full staff of Ayurvedic Doctors, where you will receive your daily treatments…Kerala style! 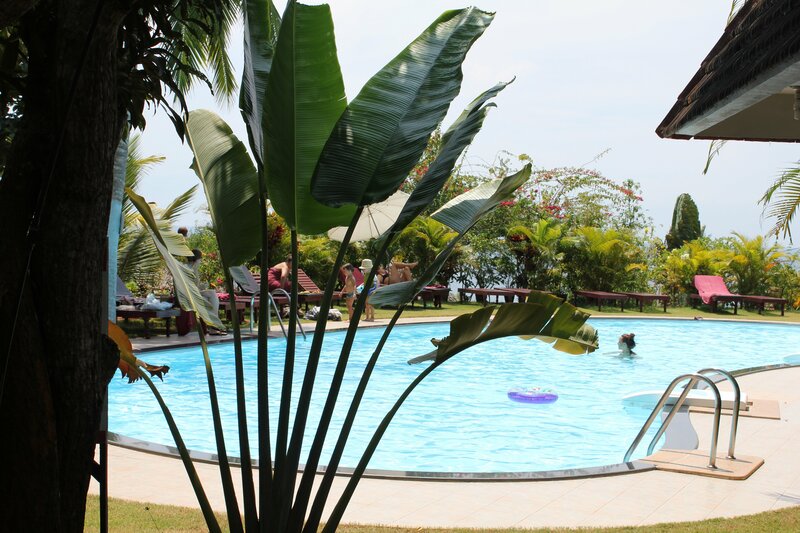 The resort has a thatched restaurant with a panoramic view of the ocean, and delicious Ayurvedically prepared meals (3 vegetarian, dosha specific meals a day are included). Oct 1: Morning practice, brunch and then on to our next adventure. Arrive Delhi late evening and layover for the night. Oct 2: Early morning drive to Agra to visit the Taj Mahal and the Agra Fort. 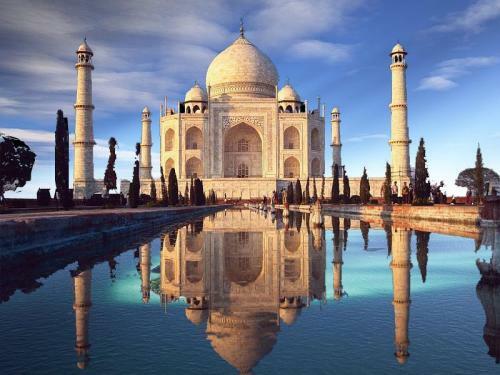 If you have never seen the Taj, it is spectacular and if you have, each visit is a little more special! 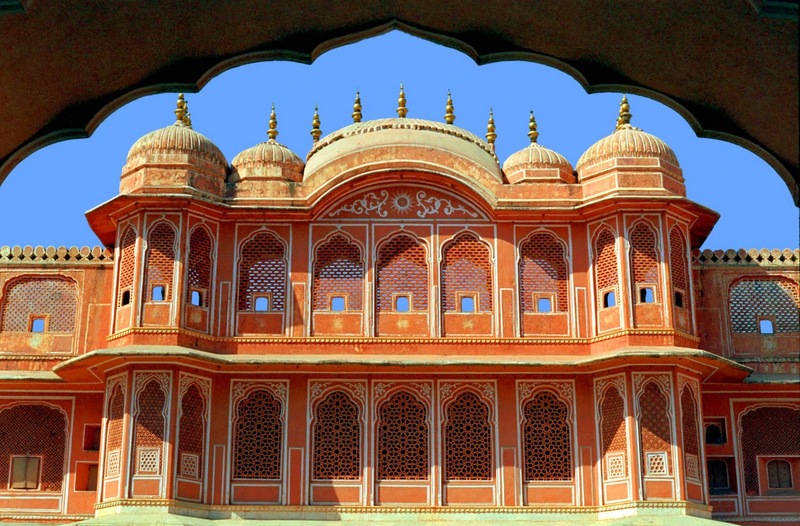 Oct 3/4: Drive to Jaipur, the Pink City. 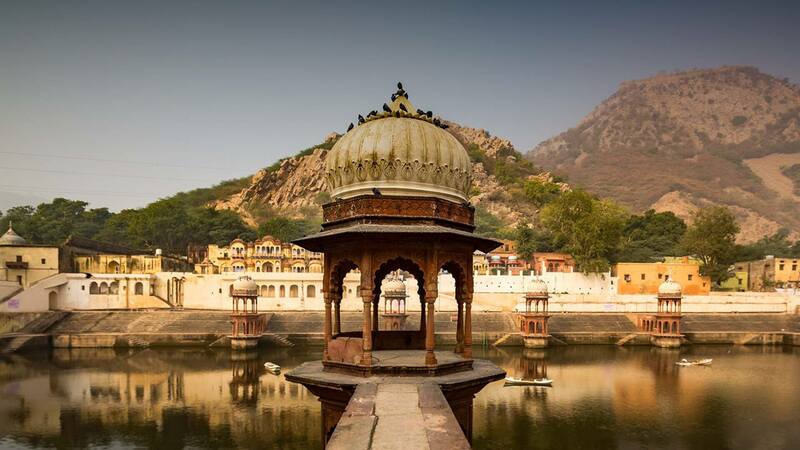 The very heart of this magical land called Rajasthan. A land known for its nobility, its hard desert fortitude and incredible grace. It’s where the homes are often villas of old (we will stay in one) and where the palaces and temples are beautifully colorful and the forts sit on formidable mountain tops, seeming impregnable. Oct 4: Amber Fort, City Palace, and Jantar Mantar. Amber Fort is magnificently set on the top of a hill. We will take the rampart all the way by elephant (with luck), visit the courtyard and enter the inner palace. 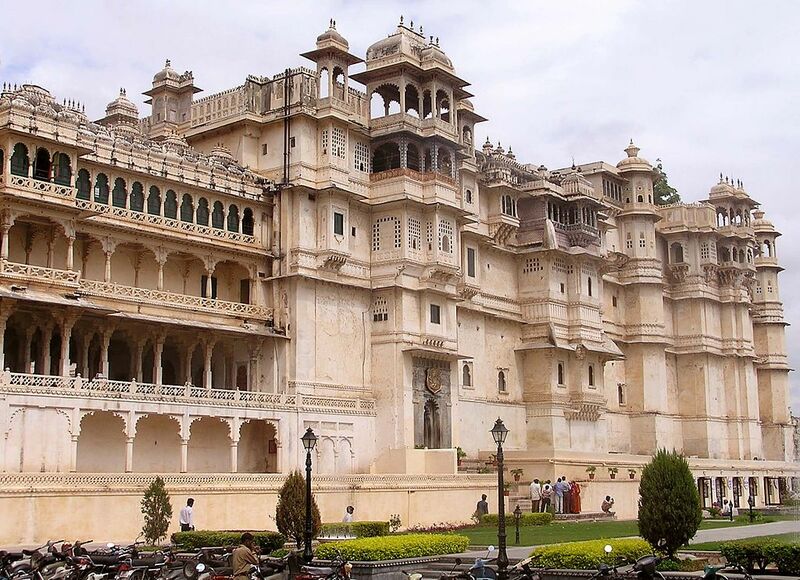 City Palace is still active as home to the current Maharaja. It is a spectacular setting with powerful museums and history. Jantar Mantar is the magic of 19 astronomical instruments including precise sun dials from the 1700’s! 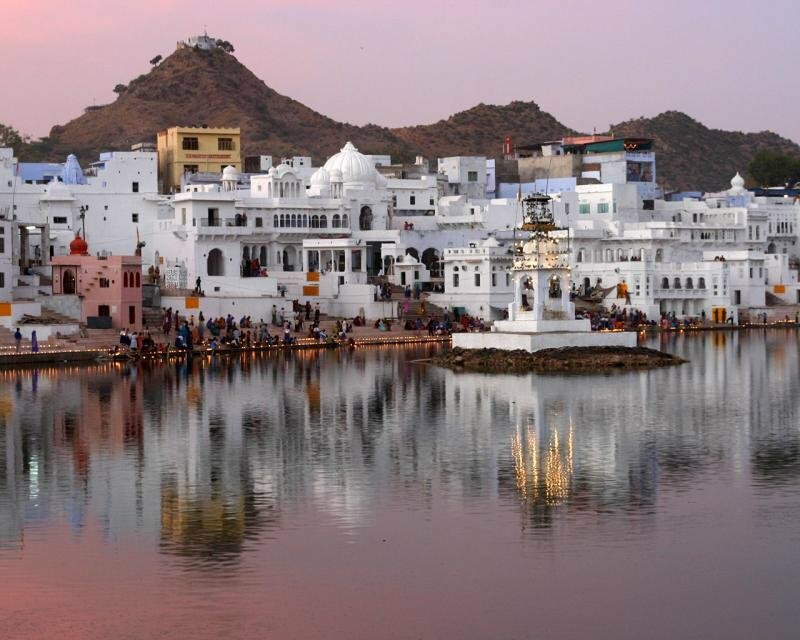 Oct 5/6: After our morning practice, drive to Pushkar! 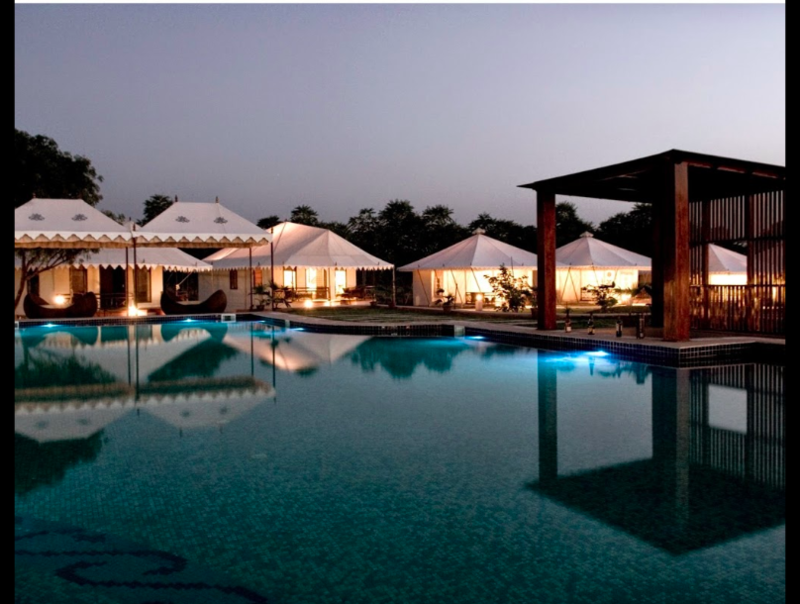 Stay in luxury tents. 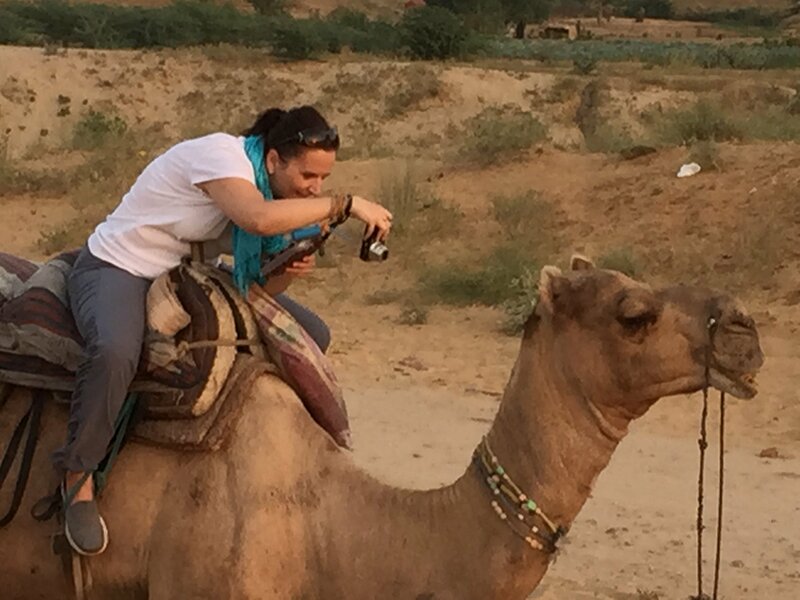 Ride on camels. Visit the famous Brahma Temple and shop around the lake for all kinds of amazing gifts (maybe even some for others). Oct 7: After a morning practice, drive to Ranakpur. 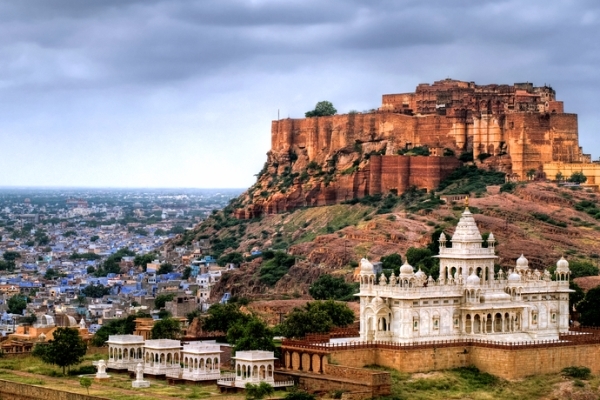 Some say the Jain Temple here is the most incredible of all. I fell in love with it when I was 19! Over 1400 carved pillars inside, none alike! After a late lunch continue to Udaipur. The Lake City. Oct 8: Visit our last most amazing Palace. Have a beautiful lunch at the Palace Restaurant! Afterwards, visit a powerful Vishnu Temple. Oct 9: After our final morning practice, and brunch, take a flight back to Delhi. Oct 10: Delhi. Our last day is dedicated to shopping. We will sightsee and shop, rest up and late at night (early Oct 11 morning), those who choose, fly home full of memories and also with full bags, to remind us of the magic of India. The Retreat officially ends and India awaits any fearless explorers who wish to do more. YogaRasayana’s trusted travel agents are available to help with this! Deposit of $500 per person will hold your space and price. Final payments must be completed by July 30 to maintain your Early Bird Price. After July 30 your deposit will continue to apply but will apply to the next tier: Regular Price $3700. If final payment is not received by August 30, your deposit can only apply to Late Registration Tier and becomes subject to space availability. Early Bird Deposits are 50% refundable for one month after initial deposit is received. After that they become nonrefundable. All group travel as stated. This includes all listed air and land travel during the Retreat. Any personally requested additional travel would be at your cost. Lectures and all yoga sessions. Any personal consultations (with Arun) will be subject to time, availability and additional cost. Morning and afternoon practices at Somatheeram. Sangha sessions on the road when possible. Specific Ayurvedic treatments at Somatheeram. Additional treatments may be available for an extra fee. All breakfasts on the road. While at most lodging facilities, WiFi is included, be aware that we cannot guarantee its availability and quality. Additional incidentals you may incur such as laundry, phone calls, internet, alcoholic beverages, any foods or drinks not specifically covered above, or any items of a personal nature that are not expressly mentioned above. Any additional expenditure not expressly covered above whether of an individual nature or voluntarily as part of a group. The link between the mind and the different organs/systems of the body is well researched and documented in Ayurveda. Now the progressive field of psychotherapy has related our instincts to our reptilian stem, our emotional to the limbic, and the rational to our neo-cortex. In Āyurveda, however, the mind is not restricted to this structure, instead it begins in the heart, reaches downwards into the gut and upwards into the brain. The connections are easy to see as seats of instincts, feelings and sensation/thought. Therefore, all our instincts and our rational thinking revolve around the mediating emotional state. When our emotional state is one of creativity, innocence and joy, we see beauty, feel compassion and instinctually open to universal waves of loving. However, when our emotions are dominated by fear, anger and grief, we become susceptible to the 6 enemies of the mind: lust, rage, greed, jealousy, envy and delusion. And our thinking and functionality begins to operate from these states. In Ayurveda, it is also said that if you wish to conquer these six enemies, there is no better pathway than that of yoga (sattvavajaya cikitsa). 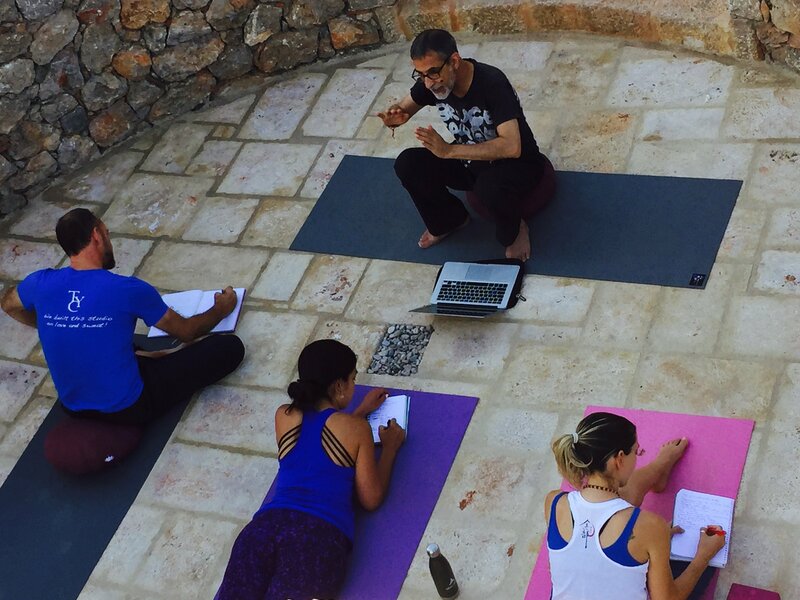 After years of personal practice, study and teaching on the relationship of the emotional body to our health and our peace of mind, the results I have gained offer clear, succinct information on the use of these yogic tools. We will do actual practices to show their effectiveness in transforming fear, anger and grief into creativity, innocence and joy. Foundational aspects of Ayurveda and Yoga and where they intersect in therapy. Connecting sattva (clarity) rajas (restlessness) and tamas (inertia) to our individual natures of vāta (neurological/respiratory), pitta (digestive) and kapha (immune): personalizing our emotional healing. The Preliminaries: Diet, Lifestyle & Relationships affect every aspect of our lives as key pillars to health. This includes a clear understanding of food, sleep, exercise, and intimacy as part of daily living. Relating these traditional practices to current western psychosomatic languages and understandings. 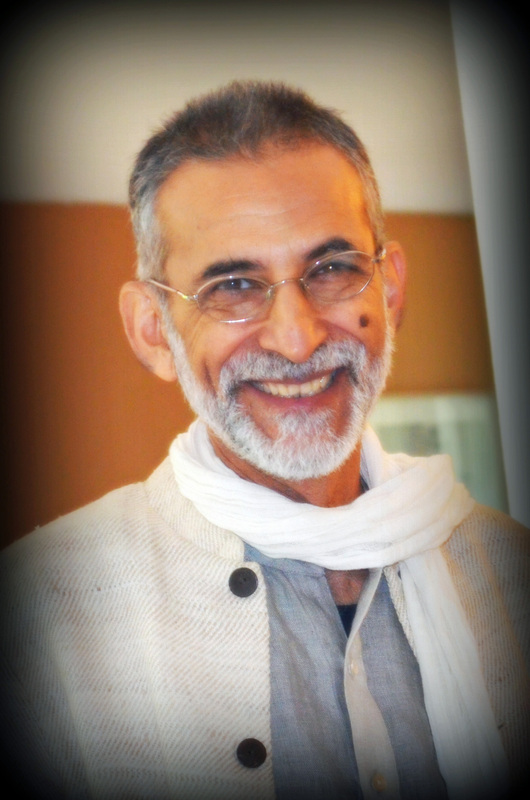 How such understandings as the doshas, gunas, alternate nostril breathing, therapeutic vinyasas, mindfulness and other such yogic and Buddhist practices are related to advances being made in the field of psychotherapy. Understanding the tools of yoga & ayurveda in emotional therapy. We will examine the roles of kriya, vinyāsā, āsana, prānāyāma, mudra, bandhā, japā, dhāranā and dhyāna. That is cleansing breathing, sequencing to place in intelligent postures, awareness breathing, external and internal symbolization, internal locks, chanting, becoming aware through breath and body and finally sitting in awareness. Svatantra Nyāya: Finding that the logic inherent within wisdom and compassion equates with love and intelligence. This is the deeper healing, where we end up when we have learned the logic of the body as correct action, breath as correct speech and mind as superior contemplation. Practical Sessions that will utilize all the yogic tools we speak about so we can actualize the experience of emotional stability. This practice will vary daily as our circumstances and growth require us to be flexible. Although the practice is designed to be all inclusive to most levels of practitioners, for those who have injuries or special needs, times may come where you may also just observe the practice. It can be just as powerful. Additional Sessions: In a forest, all trees thrive in each others company. Similarly, whenever possible we will engage in joint sangha meditations and discussions.